Chandeliers aren't just for formal dining rooms. one: Traditional chandelier. E.F. Chapman Georgian small chandelier, by Visual Comfort, available through Brody's Lamp and Shade. two: Contemporary chandelier. 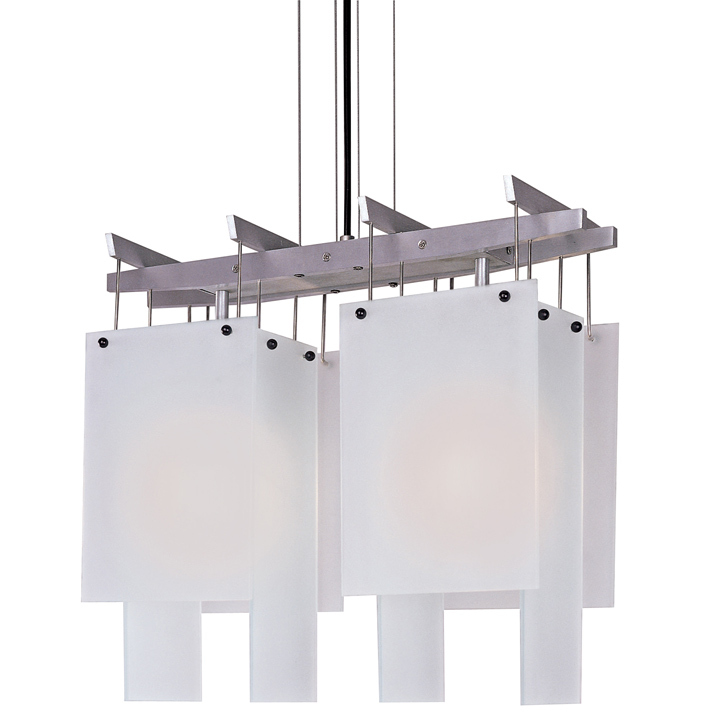 Merns designed by Tarkin Techler Group, George Kovacs, available through Holt Lighting Depot. three: Transitional chandelier. 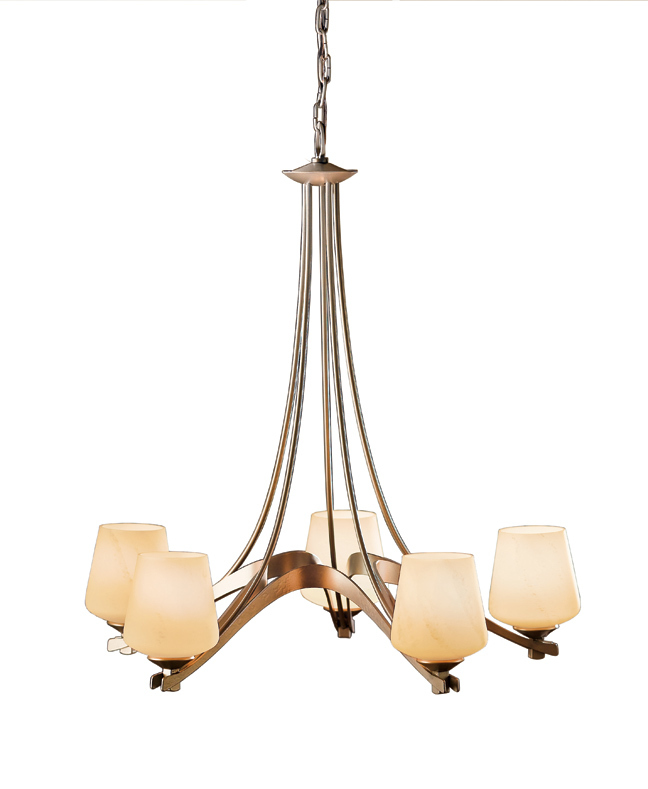 Ribbon with five arms and glass options, by Hubbardton and Forge, available at Metro Lighting. Chandeliers aren’t just for formal dining rooms. Now incorporated into bedrooms, bathrooms, foyers and even outdoors, the lighting fixtures can be found in a variety of styles to fit any room’s furnishings. Characterized by ornate detailing, such as scrolling and filigree, and fine materials, traditional chandeliers are meant to add to the overall ambience of the room without becoming the main focal point of your space. * E.F. Chapman Georgian small chandelier, by Visual Comfort, available through Brody’s Lamp and Shade. Often seen as the focal point in the room, a contemporary style chandelier features clean lines and sleek design. Chrome and brushed nickel with very little detailing are common materials. * Merns ™ designed by Tarkin Techler Group, George Kovacs, available through Holt Lighting Depot. 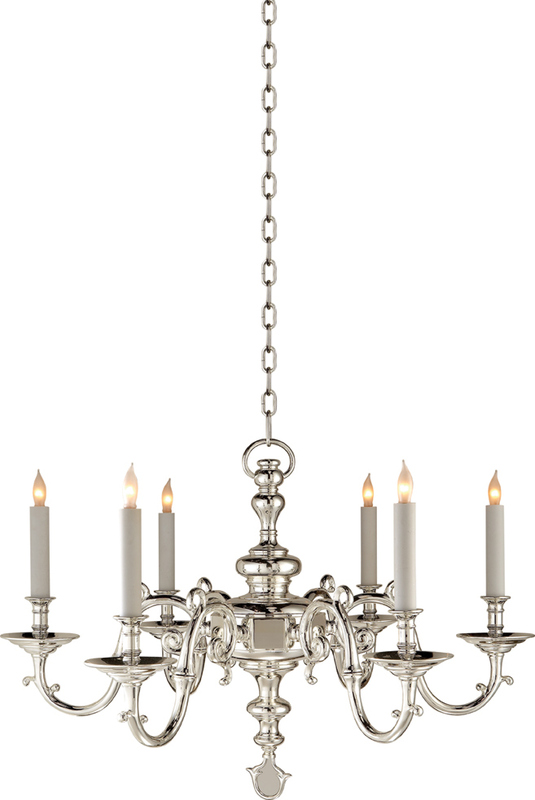 This style of chandelier can work in a traditional space or contemporary providing a clean look. The fixtures are practical and sophisticated, typically less ornate than traditional fixtures, but not as sleek as contemporary. * Ribbon with five arms and glass options, by Hubbardton and Forge, available at Metro Lighting.